A couple of hours birding before we started ringing at Alba Marshes with Brendan turned up a juvenile Spotted Eagle sitting in the mangrove trees with quite a number of Indian Reef Heron. 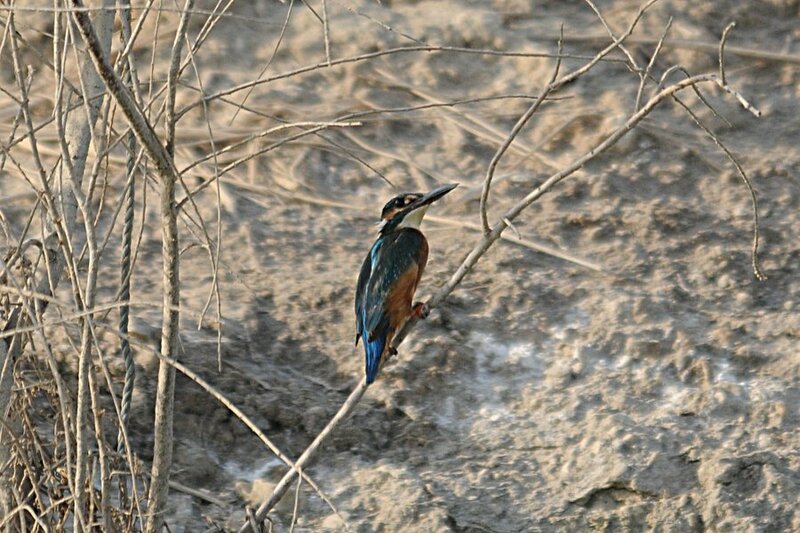 The bird was quite distant and not very active but I managed to get a poor shot showing some of the features at least. 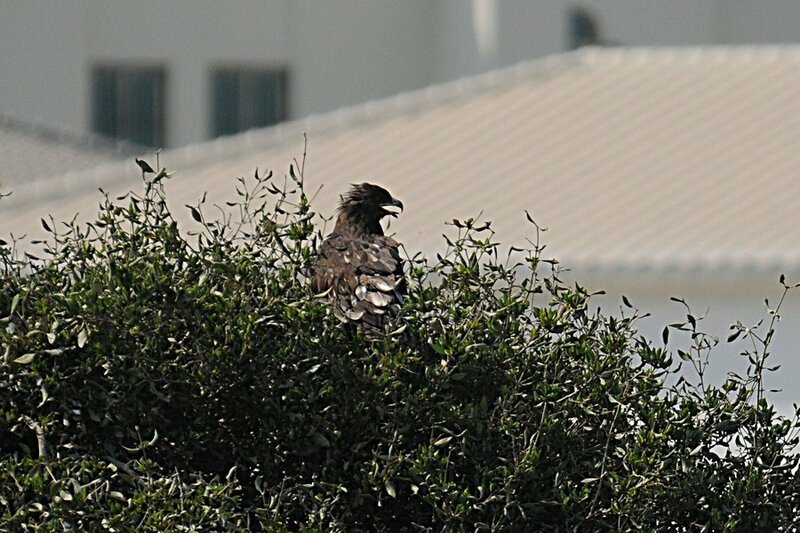 This is a very early record for Greater Spotted Eagle in the Middle East of what appears to be this years bird? They occupy a fragmanted range, breeding from Finland through Russis, Kazakhstan to mainland China with a maximum global population estimated at only 13200 individuals. 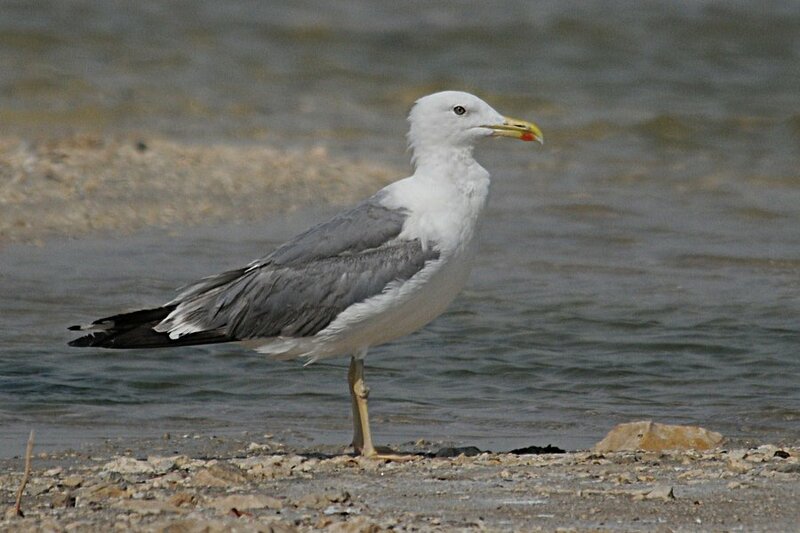 Satellite tracked birds from the Middle East breed in Kazakhstan and often winter in the Middle East but the only September record from the entire region was 29th September 2006 in the United Arab Emirates (Tommy Pedersen) and this appears to be the first September record from Bahrain and is a very early one at that. 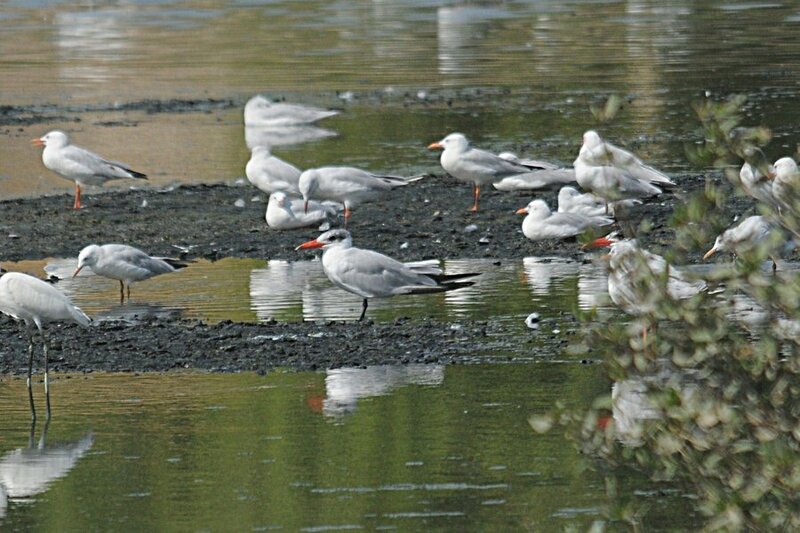 The habitat type is ideal for the species as they like wetland areas with trees. This is also the first record of Greater Spotted Eagle since 11/2/2010 in Bahrain according to Brendan and Howard King who are active Bahrain birders. 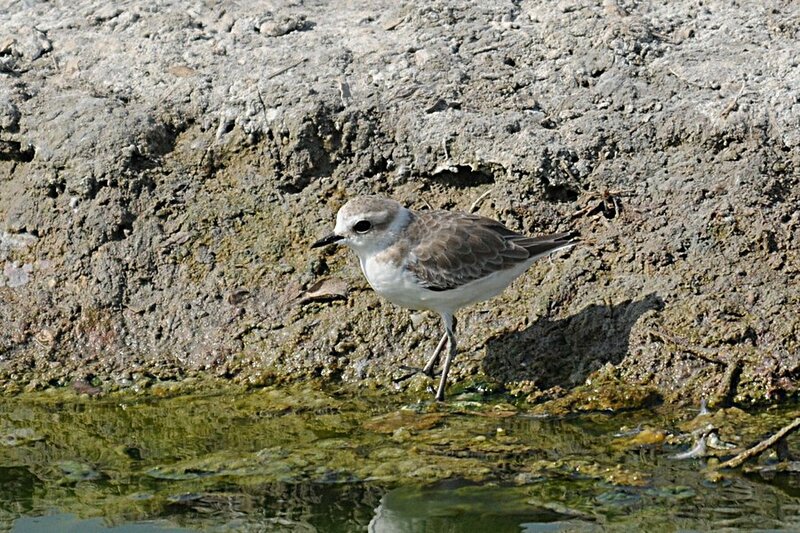 Other birds seen in Bahrain whilst birding included Southern Grey Shrike, Red-backed Shrike, many 'Flava' Wagtails, good numbers of common waders, Steepe Gull, eight Black-crowned Night Heron, seven Caspian Tern and a Marsh Harrier and Common Kingfisher at Alba Marshes. 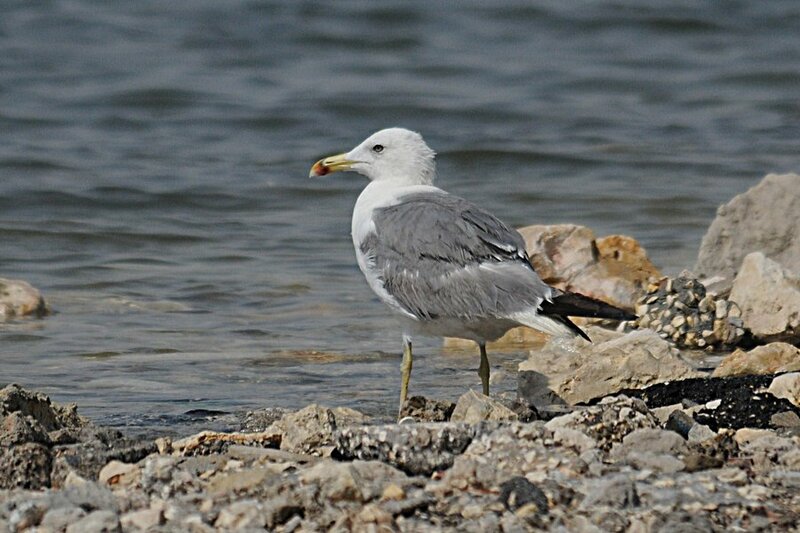 The photograph of the bottom gull shown here could be an Armenian Gull Larus armenicus as the mantle colour may be too dark for Steppe Gull Larus babarensis and the bill seems very stout, and the head rather rounded. 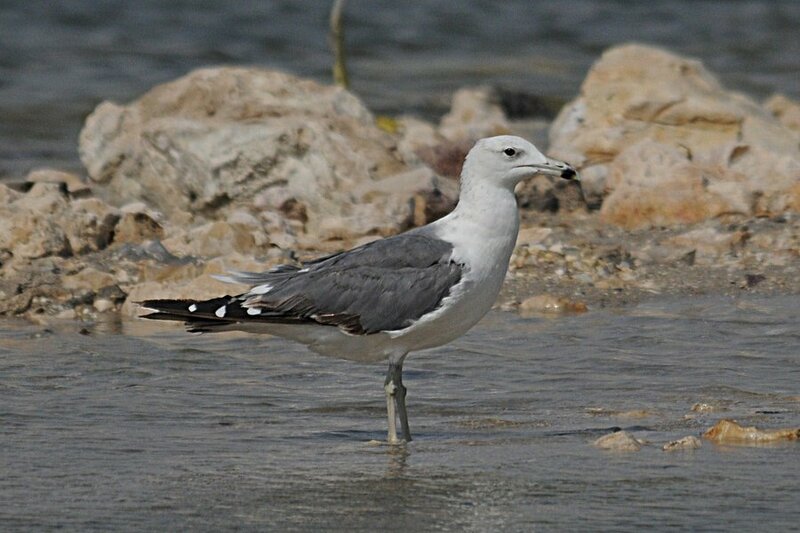 The bill may, however be foreshortened as the bill is facing slightly towards the observer and it is likely to be just a Steppe Gull. I appreciate the help of Yoav Perlman and AbdulRahman Al-Sirhan with help in the identification of this bird.